Since I missed Poetics: Cascade at dVerse from Amaya (Gospel Isosceles), I’m linking this to Open Link Night #240. The original prompt asks that we write a poem using the word “cascade,” with an optional prompt of using the cascade form of poetry. Coincidentally, I was introduced to this form by Jane Dougherty three years ago, when she suggested using the form with the word “cascade.” I wrote two responses at that time, here and here. The Photographer’s Ephemeris shows the direction of sunrise, sunset, moon rise, and moon set for any point on a map. 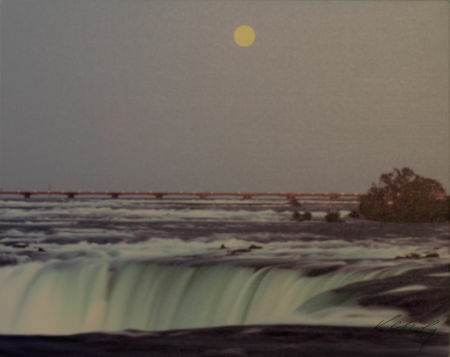 For this photo, I crossed the border and took the shot from the Canadian side of the gorge at Niagara Falls. Rhyme is never my first choice. While I don’t mind reading it, it seldom feels natural when writing it. Pure Cascade form, rocking the prompt; nice movement and feel of the waterfall through the stanzas. Your poem makes a great word picture! Cascading water is a wonderful thing to watch. Thank you, Dwight. Yes, enthralling. A lovely cascade poem or an actual cascade–and wonderful photo, Ken. It does, but it can be so crowded!